Addiction and depression accompany each other in humans regularly. Which condition precipitates the other is up for debate and sequence is likely to vary from one patient to the next. What is certain is the fact that co-occurring mental health disorders are more common than not in the field of addiction medicine. In fact, more than half of patients presenting for alcohol or substance use disorder meet the criteria for a dual diagnosis. Another verity in the field is that addiction and co-occurring mental illnesses must receive concurrent treatment to achieve successful recovery outcomes (i.e., long-term sobriety). Treating use disorder, while neglecting the conditions like anxiety, depression, or bipolar disorder, for instance, significantly decreases a person’s ability to stay on track in recovery. Addiction treatment requires addressing the entire patient; no stone can be left unturned. Treatment outcomes depend heavily on a client giving counselors and therapists a complete picture of their symptoms. Simply put, experts cannot be useful if they don’t know what is happening beneath the surface. People who’ve undergone therapy for use disorder are probably aware that their disease is directly associated with the brain’s pleasure and reward system. Recovery centers who expose their clients to some of the science of addiction, usually point to areas of the brain that experts believe play a role in their disorder. 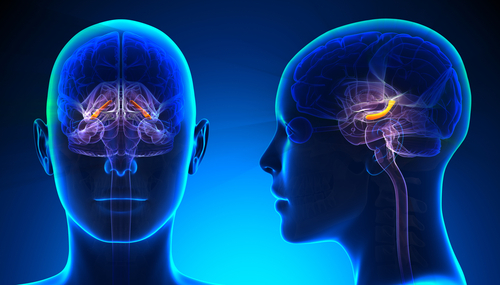 Two regions of the brain that many addicts become familiar with are the hippocampus and the nucleus accumbens. As science would have it, the hippocampus and the nucleus accumbens are two regions that make up some of the brain's reward system. New research – appearing in the journal Nature – suggests that the strength of signals sent between the above brain is an indication of mental illness. A research team from the University of Maryland School of Medicine in Baltimore found that stronger signals sent between the hippocampus and the nucleus accumbens were associated with addiction, MNT reports. Conversely, weaker signals sent back and forth – researchers believe – could be an identifying marker of clinical depression. "These two parts of the brain are known to be important in processing rewarding experiences," notes Prof. Thompson. "The communication between these regions is stronger in addiction, although the mechanisms underlying this were unknown," said study leader Prof. Scott Thompson, Ph.D. “We also suspected that opposite changes in the strength of this communication would occur in depression. A weakening of their connections could explain the defect in reward processing that causes the symptom of anhedonia [a loss of pleasure in usually pleasurable activities] in depressed patients." The study brings researchers closer to making sense of what occurs in the brains of people living with mental illness. The findings could set established targets for treating mental health disorders by manipulating neural pathways. The miracle of addiction recovery can be yours too. Please contact Hope By The Sea to discover how our team of addiction professionals can help you heal from addiction and co-occurring mental illness. We are available 24 hours a day to field any questions that you or a loved one have about our process.